In-service inspection and certification of boilers and pressure vessels is a requirement of the Work Health & Safety Act/ Regulations and Australian standards, and may be required by the WorkCover/Worksafe authority in your state or territory. AICIP Certification is recognised nationally. Obtaining an AICIP certification can expand your career options or job opportunities. 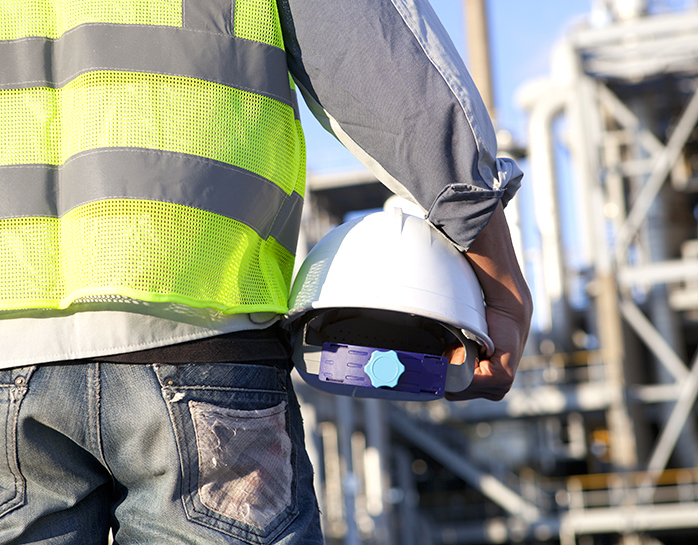 The examinations assess the level of knowledge, skill and capabilities of applicants to ensure integrity and safe inspections of plant and pressure equipment. AICIP Inspectors must comply with the List of Competencies and Code of Ethics. There are two types of inspectors for Boilers, Pressure Vessels and Pressure Piping ; In-Service Inspector and Senior In-Service Inspector. Recertification	Paper F* – Recertification – applies for ISI and SISI inspectors assessing competency in the field. *Paper F will only be applied at the discretion of AICIP In cases where the application or requested information is considered incomplete or inadequate to enable assessment of the applicants continued competency. The examinations are closed book. If reference material is required, appropriate data will be supplied by AICIP. Examination questions may be multiple choice, short answer and/or essay type. There are no prerequisites, prior qualifications, training and/or experience specified for AICIP In-Service Inspectors Examinations. However, candidates with insufficient industry experience will have difficulty passing the theoretical Paper B and Practical Paper E.
Qualifications - Year 12 High School, a Trade Certificate or equivalent knowledge. - Knowledge of common pressure equipment types and terminology used in Australian Standards. - Basic mathematics ability e.g. to calculate the volume, thickness and hoopstress of a cylinder. Training - 100 hours formal, self or on-job training in pressure equipment inspection and AS/NZ3788. Experience depending on qualifications and training, 5 years (full time equivalent) including 2 years in inspection. Shorter times apply where qualifications and training are high but experience should be sufficient to develop basic technical skills and good communication skills. Personal	-	ability to read, write and communicate orally in the English language. For SISI applicants’ wider experience, calculation and technical ability is desirable in addition to the above. It is recommended that all applicants review their knowledge and skills; both practical and theoretical. AICIP recommends all applicants consider their education; personal experiences and review their knowledge of the applicable standards prior to applying to sit examinations. Pressure vessels (primarily typical joint arrangements and general construction). Boilers (for main types of boilers and typical construction). Safety valves, other valves, liquid level gauges, and other fittings for boilers and pressure vessels (for terminology and basic requirements only). Boilers - Safety management, and supervision systems (for safety controls). Pressure equipment - Operation and maintenance (for owners’ role in inspection). Pressure equipment - Installation (for inspection at installation). AICIP does not conduct training courses but has provided feedback to training bodies as listed on our website. All new applicants will need to register at https://aicip.org.au/lms/login/signup and follow the steps to obtain your AICIP login. Once you have your login you will be able to fill in the online Examination Application. Applicants will be required to fill in the each of the sections. If you do not fill in the required sections you will be unable to submit your application. Upon receipt, your application will be reviewed by the Certification Manager for approval. You will be notified by email the status of your application. Prior to the examination you will receive an email confirming your examination times, venue and any other information required. No mobile phones allowed in the examination room. No talking or forms of communication with other candidates in the examination room. No use of any notes or material other than those authorised or supplied. No marking or writing the exam paper in the reading time. AICIP reserve the right to remove any applicant not abiding by the above conduct in the examination room. Make sure you write your examination number at the top of each page. Do NOT write your name anywhere on the examination paper(s). Make sure you utilise the reading time. Take time to read the questions properly, identify how you are expected to answer the question E.g. List; Identify; Explain; Report; Assess; Test; Estimate; Comment; Criticise; Calculate. Complete the questions you know well first. Allocate time for questions based on the marks allocated. Attempt every question – there are no marks deducted for wrong answers. Save time - avoid repeating the question. Abbreviations such as PE= Pressure equipment are accepted. The invigilator will advise the finish of the examination and collect all exams (and any examination material). At the exam of the exam you will be asked to complete a brief questionnaire about the examination. Papers and Invigilator comments are assessed by at least two examiners highly experienced in the subject and who only know the candidate’s examination number. Answers are assessed against a set of standard answers but allowance is made for difficulty. No marks are deducted for poor spelling, layout, or writing unless unreadable. Final marks are usually the average of the examiners’ marks. Marks close to a pass are “moderated” i.e. a third examiner may be requested to review the marked papers. For In-Service Inspector and Senior In-Service Inspectors - To gain certification, you must achieve an overall score of 70% or higher across all three papers. If you have scored a minimum of 50% on any paper you will be able to re-sit exams. If you have passed some of the exams, these will be held for a maximum of 2 years from the original examination (first date). Failure on third attempt means no papers can be held and you will be required to re-sit all papers again. All results will be processed within a 6-week turnaround time from the last exam date. Each successful applicant will receive a nationally recognised certificate and wallet card provided by AICIP. Successful Applicants will also be included on the National Register of Certified Inspectors on the AICIP Website. Applicants who fail an examination can request a re-mark or re-sit the examination. Applicants can apply for a re-mark of their examination Paper(s). Applicants will need to fill out the remark application form within two (2) weeks from the receipt of your exam results. This can be done through the AICIP login. The fee of a remark is $200. Four working weeks must be allowed after receipt of the remark application and payment for you to be notified in writing of your remark. Candidates can only receive a re-mark on the papers from their most recent exam sat. Re-marks will NOT be conducted during the exam period (application cut off date – results release date). An AICIP independent examiner picked at random from the approved AICIP examiners. The examiner has no details of your previous marks or your background. This is to avoid any influence on the objective marking of your exam. To gain certification, you must achieve a score of 70% or higher on each paper. If you have scored a minimum of 50% on any paper you will be able to re-sit exams. If you have passed some of the exams, these will be held for a maximum of 2 years from the original examination (first date). Failure on third attempt means no papers can be held and you will be required to re-sit all papers again. Applicants re-sitting an examination have to fill out the application form for the next set of examinations. This can be done by logging in the AICIP Website. Applicants should contact AICIP in writing if they are unable to re-sit the failed examination paper(s) within the 2-year period. A decision on extending the set timeframe will go to the AICIP board for review. Applicants re-sitting an examination keep the same examination number. Candidates requesting examination feedback can receive examination feedback OR a re-mark not both. Candidates should contact the AICIP administrator in writing detailing their examination number; preferred contact details and time to contact; and which examination paper(s) they want reviewed. Feedback will be conducted by the AICIP Certification Officer - please allow up to four weeks from the date of your examination feedback enquiry. In the feedback session applicants will be advised of where their potential gaps may be, and receive guidance on information to assist you when re-sitting an exam. AICIP encourages unsuccessful applicants to seek feedback. Candidates can only receive feedback on the papers from their most recent exam sat. Examination feedback will NOT be conducted during the exam period (application cut off date – results release date). Those who receive feedback will NOT eligible for a re-mark of the paper. The Code of Ethics applies to all members; stakeholders who include inspectors, invigilators, examiners and industry associates. The Code should not be interpreted as a full or exhaustive list of the situations which may present as compliance or non-compliance. All members and stakeholders need to comply with the conditions and the spirit of the Code..
Continue ongoing professional development supporting others to further develop their knowledge and experience to improve competence - knowledge and skill to match changes in technology. AICIP use of certificate, logos and marks- All stakeholders. If you are found to be suspended or your certification has been withdrawn you MUST discontinue the use of all claims or references to your AICIP certification and immediately return your certificate and identification card issued by AICIP. All fees are to be paid and documentation finalised prior to the application cutoff date prior to applicant being allowed to sit the examination. Applicants will not receive their examination confirmation email until payment and documents are completed. NO application will be accepted after the application cut-off date. AICIP reserves the right to cancel or change the date of any exam due to insufficient applications or other reason beyond its control, and reserves the right to refuse enrolments. AICIP Certification is valid for 5 years. To apply for a renewal assessment you are required to submit a minimum of 5 inspection reports; a letter from your current/or last employer detailing the work undertaken; and a declaration declaring all information is true and correct. Applications will only be assessed if all information is provided. Complete the application online and follow instructions. The fee for renewals is $825. Recertification is the same as the 5-year renewal process listed above. Assessment of the Inspectors continuing competency is based off full assessment of past and current inspection reports, types and amount of Pressure Equipment inspected, their Continual Professional Development and verbal confirmation of satisfactory inspection performance from an employer or client. Paper F will only be applied where deemed necessary to confirm competency. Applications will only be assessed if all information is provided. The fee for Recertification is $825. Inspectors should ensure a renewal application is lodged BEFORE their certification expiry date if they would still like to be certified by AICIP. If your certification has expired for a period longer than three months, your certification will lapse and you will be required to apply for re-certification (Paper F).